It's no mystery that the annual night of shrieking screams is clouded in spooky decor, scary costumes and countless sugar coated candies. But, Halloween is also the time when insanity comes to define the laws of the day. It is the day when idiocy rewrites the game-rules and the 'Denise The Menace' imprisoned in all of us is set free to have sheer fun. Funny and stupid costumes are equally popular during Halloween parties. Infact, more the absurd it is, more the fun. Here we bring you Top 20 Trending Funny Halloween Costumes. 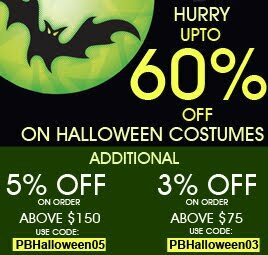 PartyBell has all of them in stock and we are running Halloween Special discount to make your shopping more fun. 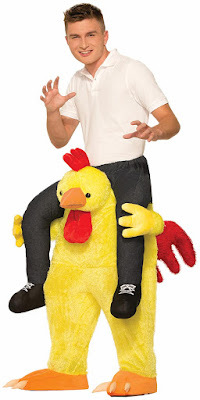 SPECIAL MENTION: Rider Costumes are a rage this Halloween. Do check them out here. 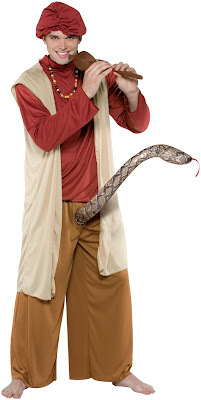 The costume includes tan sleeveless robe, red long sleeved shirt, light brown pants, hat, snake and flute. It is available on PartyBell at a discount of 54% on a price $37.71. Always a favorite. The costume is available on PartyBell at a discount of 52% on a price $14.17. It includes yellow and black tunic, wings, hood with antenna and bee stinger. The costume is available on PartyBell at a discount of 53% on a price $69.97. It includes an all-in-one pull-on-pants costume that makes it look as if you are riding a chicken. 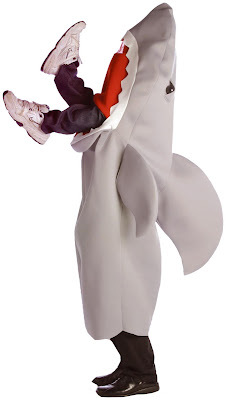 The costume is available on PartyBell at a discount of 53% on a price $27.17. 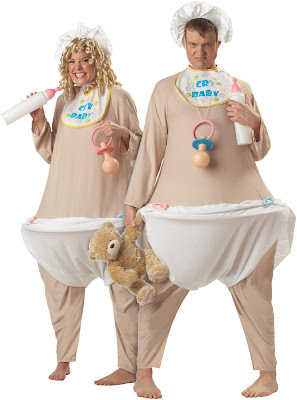 It includes an over-sized tan polyester bodysuit with attached hoop and white diaper. The baby pin accents, bib with 'cry baby' written and a white bonnet. The costume are sold separately. For the sweet as you are, this adorable cupcake costume. The costume is available on PartyBell at a discount of 50% on a price $28.56. It includes a one-piece pullover tunic and hat. An officially licensed Sesame Street costume is available on PartyBell at a discount of 50% on a price $61.88. It includes a top/trash can and headpiece. The costume is available on PartyBell at a discount of 54% on a price $68.56. 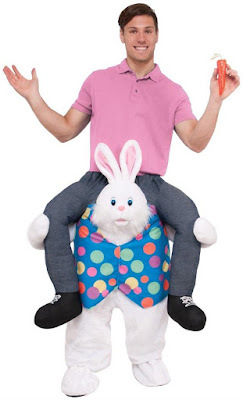 It includes an all-in-one pull-on-pants costume that makes it look as if you are riding a bunny. 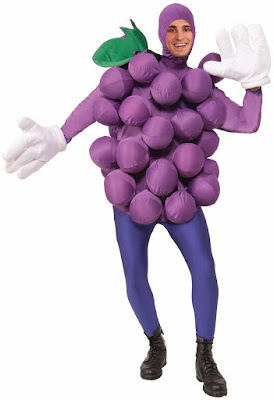 The costume is available on PartyBell at a discount of 49% on a price $99.02. 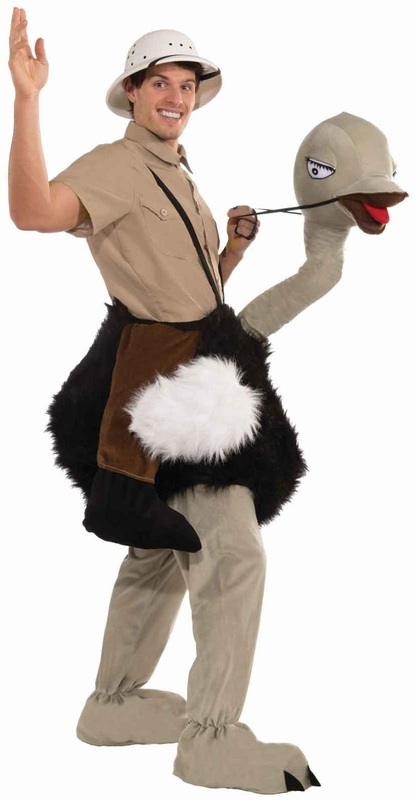 It includes an all-in-one pull-on-pants costume that makes it look as if you are riding an ostrich. The costume is available on PartyBell at a discount of 52% on a price $56.27. The costume is an over the body Shark costume with fake human legs sticking out of the mouth and a sheer area just below the top set of teeth to see through. Your own arms manipulate the legs so that the person being eaten appears to be kicking. The costume is made of lightweight durable fabric over the foam. 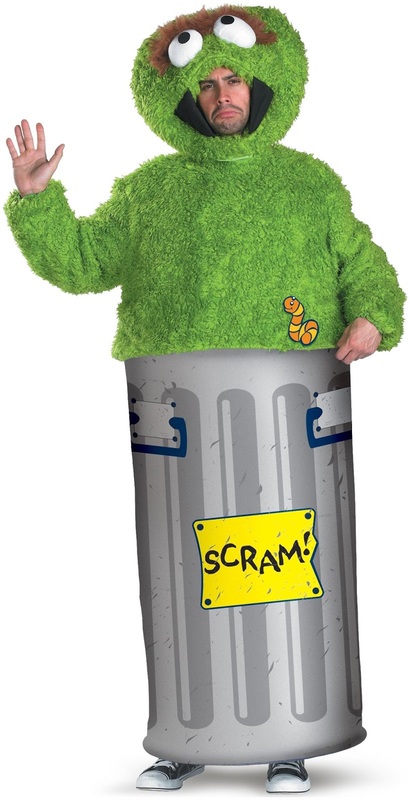 An officially licensed Sesame Street costume is available with PartyBell on 51% off at a price $57.52. The costume includes a pink over the head jumpsuit with vision through Yip Yip's mouth. 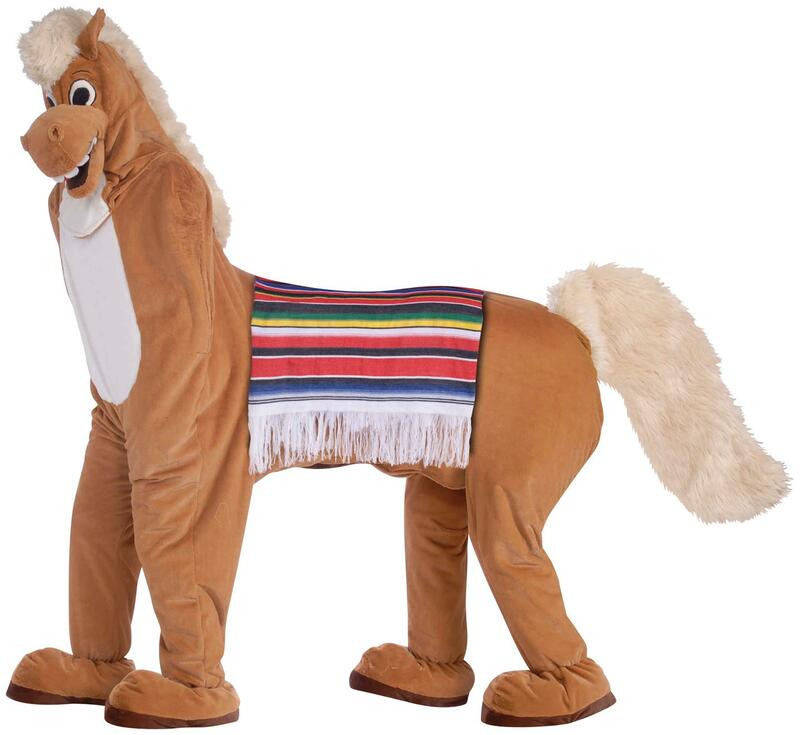 Another rider costume is available on PartyBell on 51% off at a price $43.27. 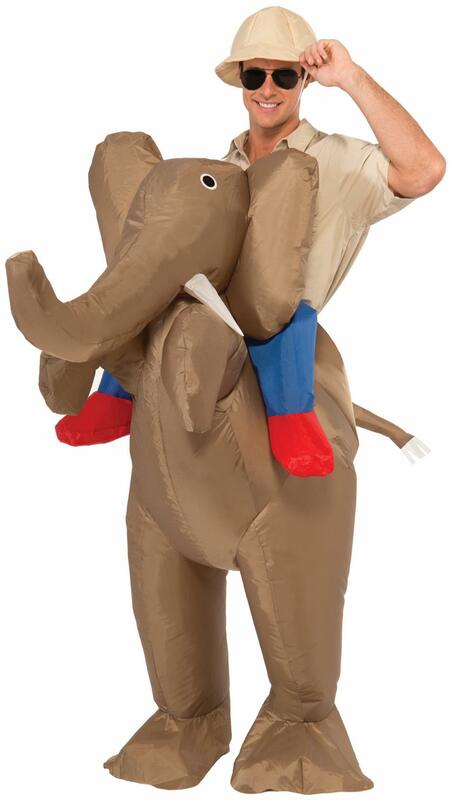 The costume includes an inflatable elephant with rider legs, hat, electric fan and a battery pack. This cute pink colored elephant costume is offered by PartyBell on a discount of 34% at a price $85.26. The costume has a big bellied costume and headpiece with trunk and tusks. The costume is available on PartyBell at a discount of 51% on a price $126.75. It includes horse head, horse body front with attached blanket and horse body back with attached tail. Again a hilarious costume! PartyBell is offering the costume at a 51% discount on a price $40.19. Includes signature yellow jacket, hat, belt/hose and an axe. The black and white cow costume is very popular this Halloween. Available on PartyBell on 53% discount at a price $22.28. 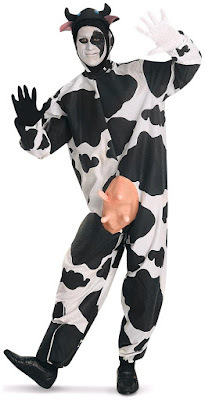 The costume includes black and white cow print jumpsuit, headpiece with attached horns and ears. Keep your udder and teats safe because the party animals are going to milk this cow! Available on PartyBell on a discount of 48% at a price $20.40. The costume includes a tutu style style dress with attached suspenders, scarf, gloves and hat. It is available on PartyBell on a discount of 51% at $43.79. The costume includes a tunic with attached sleeves, grapes balloons and a hood. 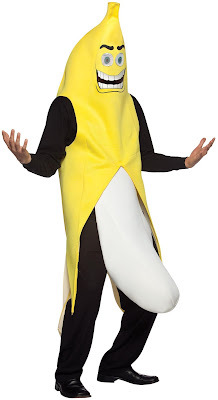 Call it a banana or anything you want, just Go Bananas this Halloween. The costume is available on PartyBell on 48% discount at $44.30. A true complementary costume for you and your partner. Available on PartyBell on discount of 52% at a price $28.12. 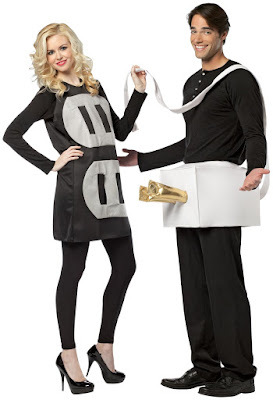 The costume includes a plug piece and a socket dress. Be a cool Granny this Halloween and tell your children how to party! Available on PartyBell on 49% discount at a price $29.91. The costume includes the dress, babushka and the padding for the bust and rear. Make your Halloween one crazy party to remember forever.